Calenotis Magazine free WordPress theme is a wonderfully modern and clean magazine template that is available for free at Simple WP Themes. The features included with this free theme are something to check out, as you won’t find some premium themes with this many goodies packed into one place! 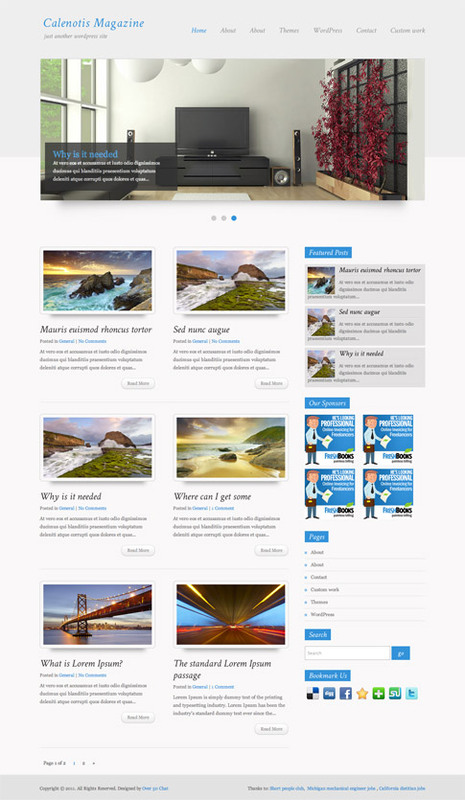 Make sure to download this superb free WordPress theme at the end of the post! Come back and check out the showcase as we find more sites from around the web using Calenotis Magazine.